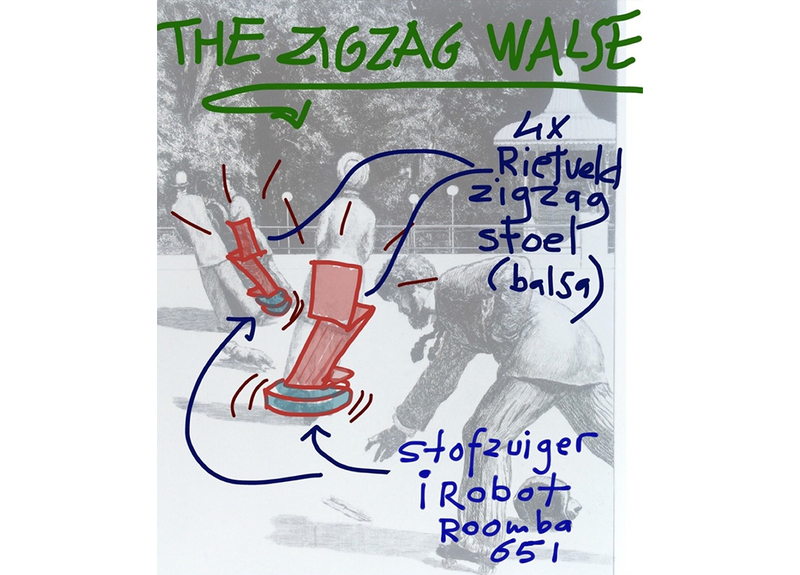 ‘The Zig Zag Walse’ by Bert Staal and Matty Christensen is – contrary to what one would expect – not a new piece of furniture to be idolized. 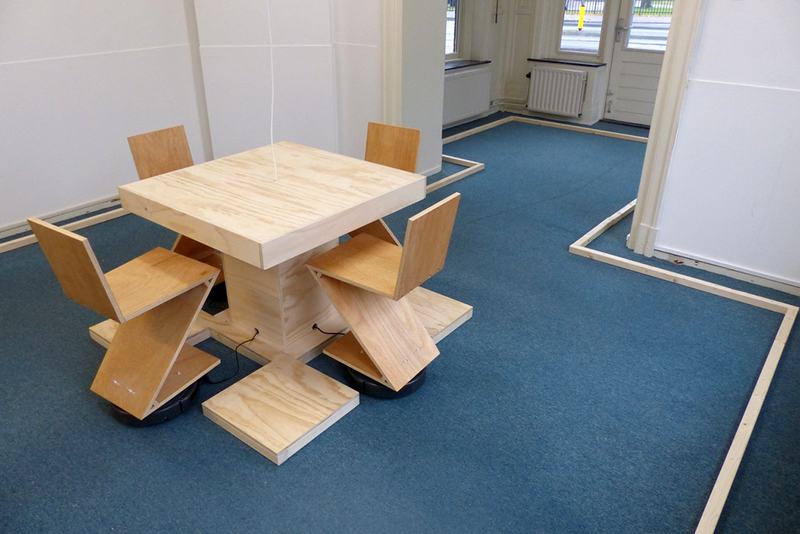 It is a special presentation of one of the greatest icons of Dutch furniture design. At the invitation of the Van Abbehuis art initiative Eindhoven, Buro Staal / Christensen made an appealing installation for Dutch Design Week 2015. 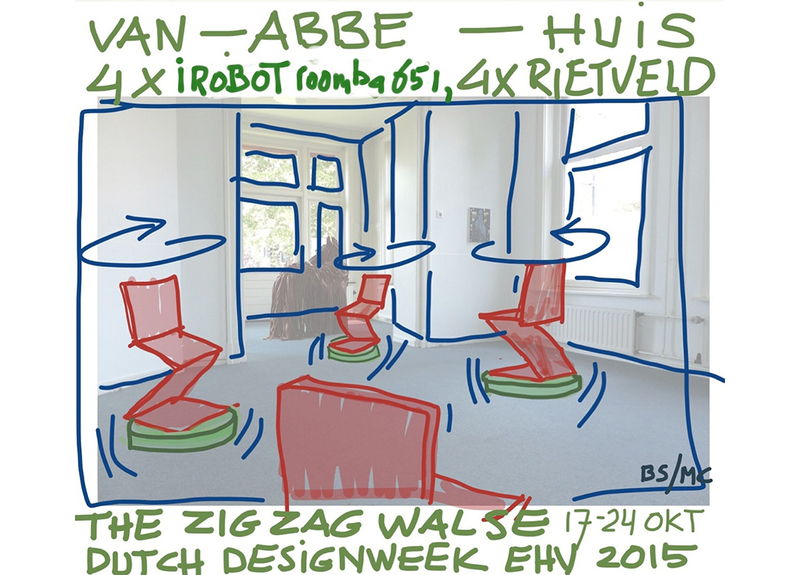 The Zig Zag Chair, the 83-year-old design by Gerrit Rietveld, played the leading role in it. During the 10-day performance at the Van Abbehuis, a number of Youtube videos was made.